Business magnate Robert Miller (Richard Gere) is about to sell his hedge fund in order to hide his company's losses and evade arrest for fraud, but when he enters a car crash killing his mistress, he flees. As the investigation proceeds, the truth begins to unravel, with the consequences affecting both his wife (Susan Sarandon) and daughter (Brit Marling). The film took a while to get started, but once all the pieces were in place, it was a tense and riveting feature, aided greatly by the sound track. The dilemna that Robert faces, the risk of both public and private scrutiny, drives him to dangerous decisions. Will his business deal go through before the truth is revealed? Though slightly long, the movie was enjoyable and whilst Miller was a kind of villain, you do root for him and hope he makes it through. The style of the movie was slick and edgy, with a deep moody feel. Thematically, the ideas of family, money, publicity and deception create a realm of depth in this world of power and money. I guess the key element is about public image and the facade that is trying to be up-kept. One criticism I have is the abrupt ending which felt incomplete. Left open ended to interpretation, it ultimately lacks conviction. What is the movie trying to say? 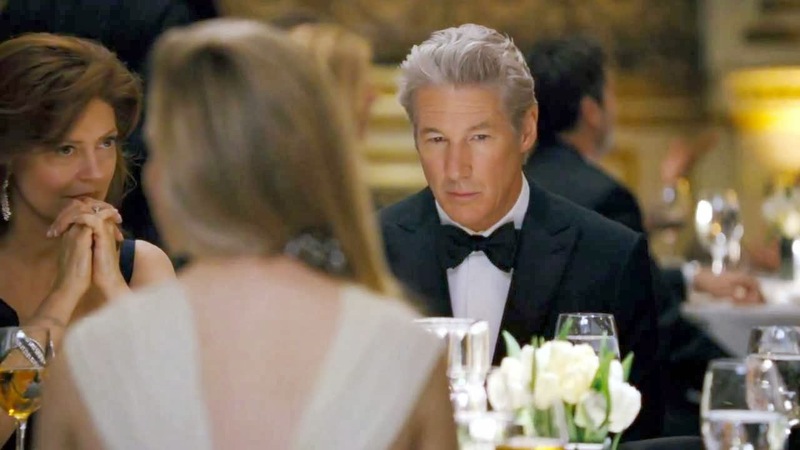 Nominated for a Golden Globe, Richard Gere is perfect for this role and definitely shines in this villainesque role. Supported by the stunning Susan Sarandon and rising star Brit Marling, performances are strong all around. 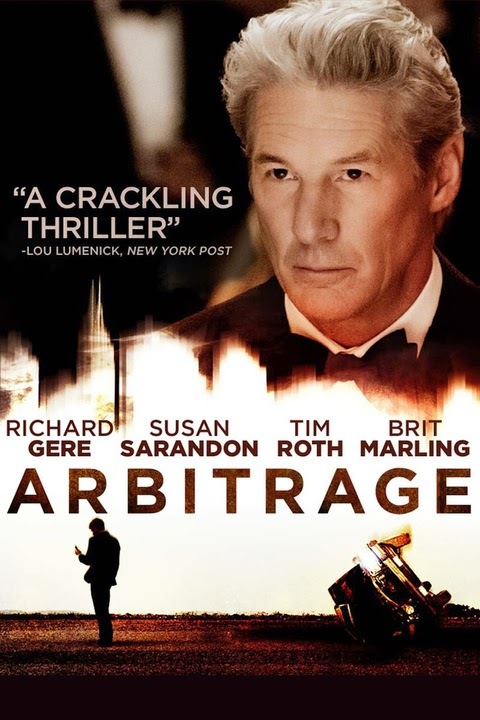 'Arbitrage' is a strong thriller that has flair, with good performances by Richard Gere and well supported by Susan Sarandon and Brit Marling. Despite the abrupt ending, it has strong themes and was filmed stylishly that makes this a gripping and enjoyable movie.